What a fun and enormous project! Using an API for company used software, we created a full Member (customer) Portal, allowing members to book vacations, manage points, rent, borrow, or save points, update personal info, and much more. We designed the Member Portal to be fully responsive (mobile-ready) and have a dashboard feel, which also worked incredibly well when packaged as an app. The site also includes secure payment gateways through ConvergePay's API. Simple and direct. 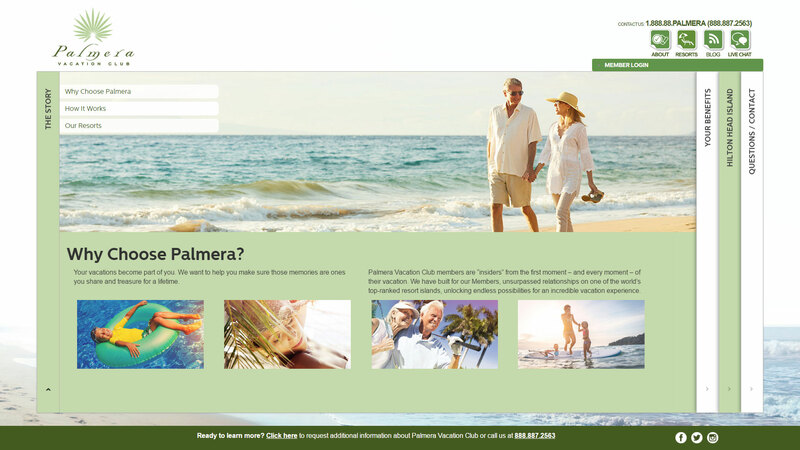 The landing page directs members to login and everyone else to explore the story and resort portfolio pages. The dashboard was designed to place all important information at the member's fingertips. 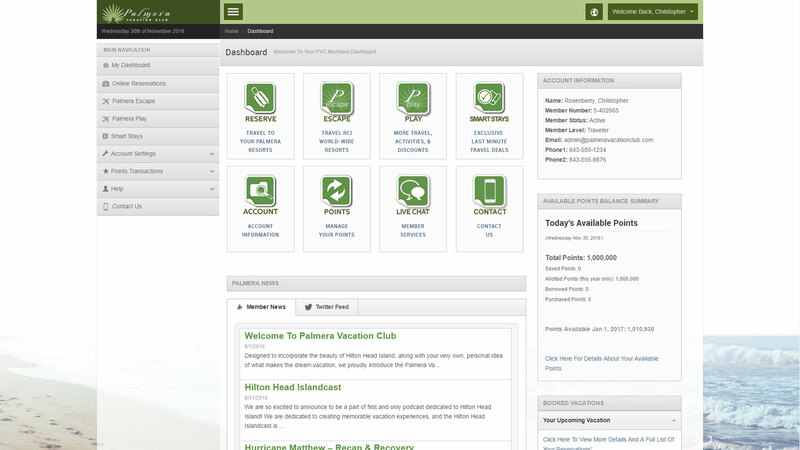 This includes multiple ways to travel, points summaries, vacation summaries, member news, and more. 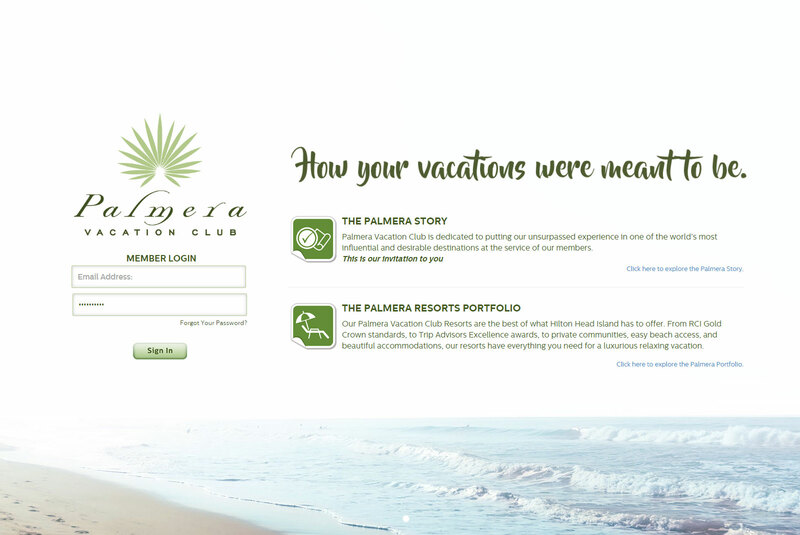 Members receive live data from Palmera's company used software via an API. Here is an example of an availability search for Dec. 31, 2016 - Jan. 7, 2017. The page also shows the member which of their points are available for use, and dynamically displays the lowest cost total per resort. 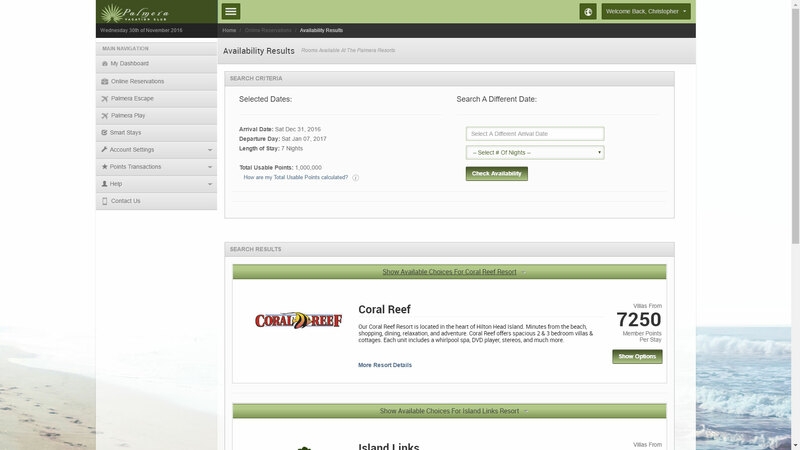 The green bar, opens to show a full listing of the selected resort's available rooms for the selected date range.